As an informal circle of physicists, the Radiation Physics Laboratory was first created in 1995. Gradually this circle turned into an official laboratory, which now unites intellectual, physical and organization resources of the collaboration, which includes Scientific Research Institute of Skobeltsyn Institute of Nuclear Physics at Lomonosov State University, Lebedev Physical Institute of the Russian Academy of Sciences, and Belgorod State University. Basic processes of interactions between high-energy particles, photons and condensed matter. New methods of diagnostics of atomic structure of partially ordered matter and nano objects. Developing effective and efficient sources of X-ray emission based on coherent emission of high-speed electrons in the matter. The Laboratory conducts fundamental and experimental research within the framework of Radiation Physics. 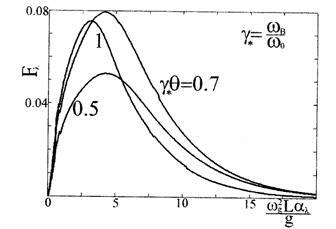 - Anomalous Ter-Mikaelyan effect was theoretically predicted and experimentally discovered in braking radiation of relativistic electrons in thin layer of the matter. 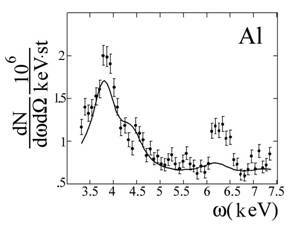 The anomalous effect consists in local suppression of radiation escape in the quantum low-energy regions studied. 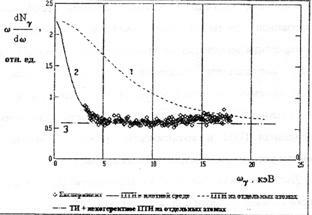 Based on the theory developed, it is shown that a notch in full spectrum of radiation (normal Ter-Mikaelyan effect on thick target causes complete suppression of radiation escape in the quantum low-energy regions) is determined by the interference of the mentioned radiation mechanisms. Within this theory, amplitudes of breaking radiation and transient radiation processes were separated for the first time. - The Laboratory’s scientists theoretically predicted and experimentally discovered the effect of interference of parametric and coherent breaking radiation of relativistic charged particles in the crystal which causes considerable modification of spectral-angular and polarization characteristics of the built-up radiation, which depends on polarity of the emitting particle. 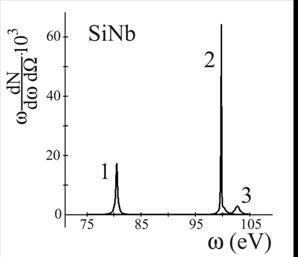 - The Laboratory’s scientists theoretically predicted and experimentally discovered the effect of coherent peaks in the spectrum of breaking polarization radiation of relativistic electrons, which move in polycrystalline target. 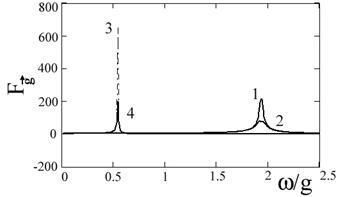 The nature of the discussed peaks, which are determined by Bragg scattering of high-speed electron’s Coulombian field by polycrystal composing single microcrystallites, is analogous to the nature of Debye-Scherrer peaks in the physics of free x-rays scattering in powders. The detailed comparison of experimental data with theoretical prediction proved adequacy of the developed model of collective breaking polarization radiation in condensed matter. It discovers an opportunity to create a new method of diagnosing atomic structure of solid bodies. - A theory of coherent x-radiation of relativistic electrons in layered nanostructures was developed. Based on this theory, successful experiments on generating quasi-monochromatic radiation by 500 MeV electrons in such structures (the experiments were conducted jointly with the scientists from the Scientific Research Institute of Radiation Physics of Tomsk Polytechnic University). The detailed comparison of experimental data with theoretical prediction proved adequacy of the developed model, which accurately regarded the contributions by both parametric and diffracted transient radiation. - The effect of escape suppression of breaking polarization radiation of relativistic ions in condensed amorphous media in low-energy regions of the escaping quanta was theoretically predicted. This effect is determined by mutual shielding of neighbouring atoms during formation of breaking polarization radiation. Also theoretically the effect of escape suppression of breaking polarization radiation of relativistic electrons in fine-grained media of the escaping quanta was predicted. This effect is determined by suppression of non-coherent component of breaking polarization radiation resulting from the order of atomic configuration in a certain cluster, as well as from the shift of spectrum of coherent radiation to quantum low-energy region due to the coherence of the breaking polarization radiation formation process in a separate cluster. The effect of suppression of breaking polarization radiation escape of relativistic lectrons in diamond-like carbon films was discovered during experiments. The data obtained is compatible with the developed model of breaking polarization radiation in fine-grained media. 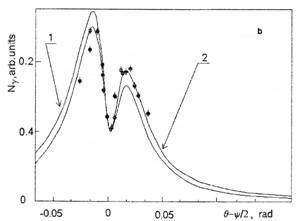 - A theory of parametric x-radiation was developed. 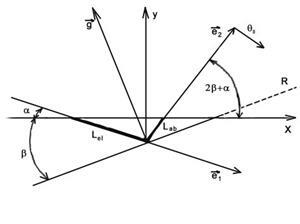 In the theory, the amplitudes of polarized x-radiation itself and diffracted transient radiation were separated. It allows assessing the contribution of each above-mentioned mechanism, and also defining the influence of interference between them. 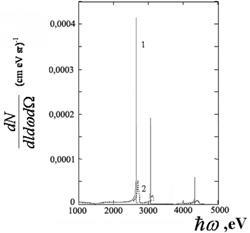 Based on the theory developed, the scientists provided a theoretic interpretation of unexpected experimental results of testing polarized x-radiation of 500 MeV electrons in a wolfram crystal in the geometry of Bragg scattering. Quantitative comparison of the theory and experimental data proved that the growth of spectral-angular density of radiation is determined by diffracted transient radiation’s contribution. 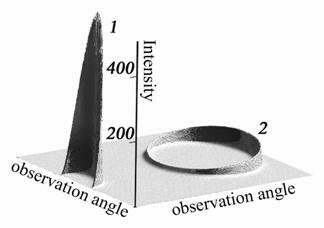 - The effect of Cherenkov cone transformation during grazing incidence of the electrons radiated on the target’s surface. This effect can considerably increase the angular density of radiation. 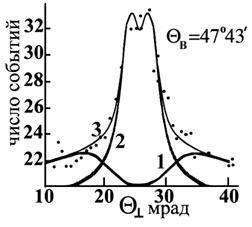 Based on this theoretical prediction, a number of experimental tests are currently prepared in Astro Space Center (Russia), Scientific Research Institute of Radiation Physics of Tomsk Polytechnic University and Scientific Research Institute of Radiation Physics of Moscow State University to discover this effect. - The effect of parametric x-radiation along the speed of 500 MeV electrons, moving in a wolfram crystal, was experimentally discovered. The experiment conducted was based on a specially developed theory of forward polarized x-radiation. This theory allowed to finally end an about twenty-year search for this effect, essential for interpretation of parametric radiation, and to optimize experimental conditions. The experiment unexpectedly resulted in an effect of dependence of the form of signal from the value of Bragg frequence, in the neighbourhood of which the polarized x-radiation contribution is concentrated. According to this theory, the mentioned above effect ia accounted for by competition between contribution by forward parametric x-radiation, realized as a narrow spectral peak, and by breaking radiation, which has in its spectral distribution a notch in the neighbourhood of Bragg frequence due to diffraction loss. - Parametric radiation in the conditions of the Cherenkov effect manifestation – a new sphere of research in the physics of parametric x-radiation of relativistic electrons in periodic medium has been discovered and successfully developed. A considerable growth of influence of dynamic diffraction effects on parametric x-radiation in the conditions studied is described. It is determined by the same law of dispersion for primary Cherenkov photon and secondary parametric x-radiation photon. - The effect of dispersive suppression of forward parametric radiation in the geometry of Bragg scattering. 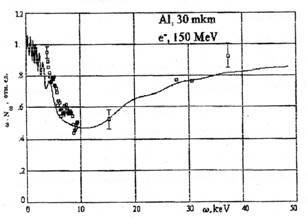 It is shown that this effect is determined by anti-parallelity of phase and group velocity of the excited wave, and due to that the radiation energy propagation direction is opposite to the speed of the radiating electron. 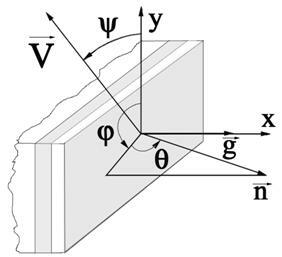 This effect, manifested away from the edge of the target material’s photoabsorption, can be suppressed, as it is shown in the research conducted, in the neighbourhood of the absorption edge resulting from strong dispersion of dielectric capacitivity of the target. - A theory of parametric x-radiation of nonrelativistic particles in layered nano structures. It is shown that the intensivity of the x-radiation source, based on the mechanism described, can reach a value comparable to the intensity of parametric x-radiation of relativistic electrons in the crystal. Along with that, the current of nonrelativistic electron beam can considerably exceed the current of relativistic electron beam, and this allows considering the possibility of creating a vacuum-ultraviolet quasi-monochromatic photons source, outstanding for its intensity, simplicity and low-cost. 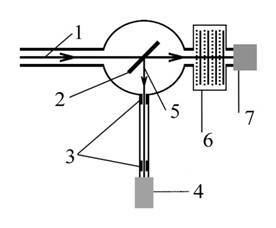 - The effect of rapid acceleration of parametric x-radiation yield during grazing incidence of the relativistic electrons radiated on the crystal surface in the conditions of asymmetric diffraction was predicted. This effect emerges due to the increase of the length of the radiating electron path in absorbing crystal where photons, able to escape the target, are formed. - The laboratory’s scientists predicted an abnormal effect of density in polarization breaking radiation of relativistic electrons in solid targets with polycrystalline structure. 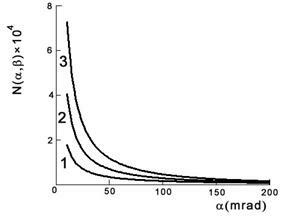 It is shown that suppressing that polarization breaking radiation escape in the case studied can reach to hundreds percent, in contrast to the case of amorphous target, where the same effect decreases the yield by several percent. The rapid increase of density effect results from coherent character of breaking polarization radiation in polycrystalline where the radiated photon is formed in a big volume of the target, and this leads to increase of the yield dependence from shielding of equilibrium fiend of radiating charge by polarization medium. - The effect of rapid increase of strictly backward coherent breaking polarization radiation reflection in a polycrystalline (spectral-angular distribution increases in tens of times) was predicted. It is shown that the effect is of geometric nature and is determined by the increase of microcrystallite amount which hit the area of Bragg resonance relative to radiating electron speed direction. - A theory of coherent breaking radiation of the B type relativistic electrons in the conditions of non-correlated electron collision to atomic lattice and off-axial radiation collimation was developed. It is shown that in the conditions discussed, generation of hard photons with a high degree of linear polarization, while radiation yield remains relatively high. The scientists prepared analytic description of the effect of suppressing the escape of low-frequence component of dipole coherent breaking radiation of relativistic electrons on an atomic lattice resulting from saturation of the angle of multiple azimuth scattering of radiating electrons on the atomic lattices. Simultaneous manifestation of this effect as well as of the Landau–Pomeranchuk–Migdal effect in coherent breaking radiation of relativistic electrons in atomic lattices was analytically described. It is shown that the form of the spectrum can considerably differ from the next of separate theories of the suppression effects discussed.